The power to compulsorily acquire land is a statutory one, provided to various authorities who have a role in the delivery of broader benefits to the community, such as planning and delivering infrastructure like rail lines and motorways. 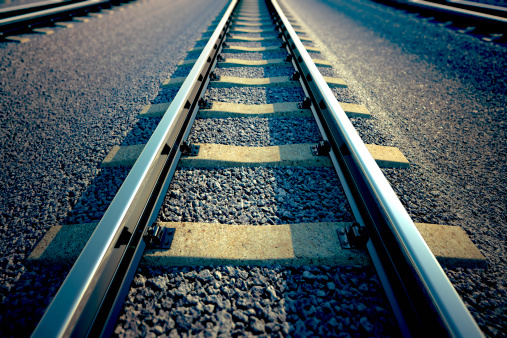 The Land and Environment Court has started delivering judgments in the compulsory acquisition cases relating to the acquisitions needed for the construction of the North West Rail Link – a 23-kilometre train line between Bella Vista and Epping. The North West Rail Link has involved the acquisition of 60 homes and 30 businesses, and now there have been three decisions by the Land and Environment Court in respect of the claims made by dispossessed land owners. We take a look at the implications of these decisions below. Bonomo v Transport for NSW  (Bonomo) was the first case considering North West Rail Link acquisitions and relates to land on Schofields Road, Rouse Hill. The land acquired comprised 2.023 hectares. The judgment provides a thorough description of the background to the North West Rail corridor, including the interplay between the different planning controls applying to the site. The applicant (represented by the previous NSW Attorney General, John Hatzistergos) submitted that the market value for the site was $200/sqm ($4,046,000). Whilst accepting the Valuer-General’s determination of $180/sqm ($3,650,000), the respondent submitted that the market value was $165/sqm ($3,350,000). Ultimately the Court (Justice Sheahan and Commissioner Brown) agreed with the Respondent and held that the market value of the land was $165/sqm for the 2.023 hectare property. This valuation was based on a number of comparable sales within Schofields and Rouse Hill including an area known as Area 20, which is located beside Windsor Road and Schofields Road and is a serviced 245-hectare precinct, which was rezoned in 2011. The second case, De Battista v Transport NSW  (De Battista), again involved the acquisition of land comprising 2.023 hectares on Schofields Road at Rouse Hill. The main disagreement in this case involved whether an allowance should be required for comparable sales given the availability of a sewerage connection at the acquired land. The applicant’s valuer made an allowance of 25 percent compared to another precinct based on the availability of sewerage connection. The respondents’ valuer did not make any adjustment. The Court adopted the reasoning in Brewarrana Pty Ltd v Commissioner of Highways (No. 2) in holding that the “physically closer sales transacted in similar timeframes are preferable to those more geographically and temporarily distant from the acquired land”. Ultimately, the Court agreed that the market value for the land comprised a rate of $175 per square metre ($3,540,250). The applicant’s submissions on market value were $4,450,000 wheras the respondent’s submissions were $3,450,000. This provides a point of comparison given the diverging market values awarded by the Court in Bonomo ($165/sqm) and De Battista (175/sqm). Justice Pain also considered section 61 of the Just Terms Act in relation to the head of disturbance. We have previously blogged on the Court of Appeal’s decision in El Boustani v The Minister Administering the Environmental Planning Assessment Act 1979  (El Boustani) where the ambit of section 61 was given extensive judicial consideration by the Chief Judge of the Land and Environment Court sitting on the Court of Appeal. The Court’s reasoning was consistent with El Boustani and the Court held that section 61 did not apply to prevent the applicant’s claim in relation to the costs of stamp duty on the purchase of another property and relocation costs to another residential property. The third case is Zappia & Ors v Transport for NSW  (Zappia), which is an interesting ex tempore judgement setting out the Court’s case management views for compensation claims relating to resumed properties in close proximity to each other. In this matter, the acquired lands all occurred within the same precinct under the State Environmental Planning Policy (Sydney Region Growth Centres) 2006. The Court advised that it was important to avoid the risk of inconsistent Court decisions as to market value based on different evidence and submissions, and to save time and costs managing and hearing sufficiently similar matters. The Court acknowledged the earlier decisions of Bonomo and De Battista,and stated in the judgement that these decisions should provide guidance and facilitate settlement of other proceedings relating to approximately located land resumed for the purposes of the North West Rail Link. The case management decision by the Court in Zappia sets out clearly the Court’s views on case management for acquisitions of land compulsorily acquired in close proximity for the same public purpose. Litigation for future government infrastructure programmes are likely to be treated similarly by the Court to provide judicial economy in the hearing of these cases. While a streamlined consistent approach by the Court is to be welcomed, the perceived judicial economy to be gained and consistency of decision making may not necessarily crystallise. Each applicant is entitled to different legal representation, as is the respondent acquiring authority, which may mean the cases are pleaded and defended in different ways to suit each interest in land acquired. For the cases being run together, it is also unlikely the legal representatives will excuse themselves from the Court while the other cases being run together are being heard, lest something is stated in Court in one matter which affects the other. This could have substantial costs implications given the potential length of hearing where there are a “string” of matters being heard together. (1973) 6 SASR 541; (1973) 32 LGRA 170.